I love Scandinavian designers and the brand Gina Tricot is one of them. I stumbled across this lovely jacket few days ago and immediately loved it. 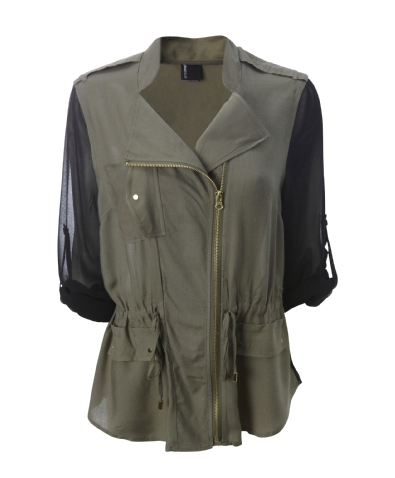 It's a military inspired jacket that we've been seeing all around for some time now but with a different twist to it. I saw a lot of jackets like this but with leather sleeves and details, this one has a sheer and delicate material sleeves and also the back. Imagine a jacket like this with lace, that would be really nice too, don't you think? You can find it at Gina Tricot. P.S. I have a nice surprise for you next week so definitely check back soon for more information. wow!!!! this jacket is beautiful!! !